All listings for which syndication has been turned on are posted to the NowRenting Facebook page, the same as all our other syndication partners. 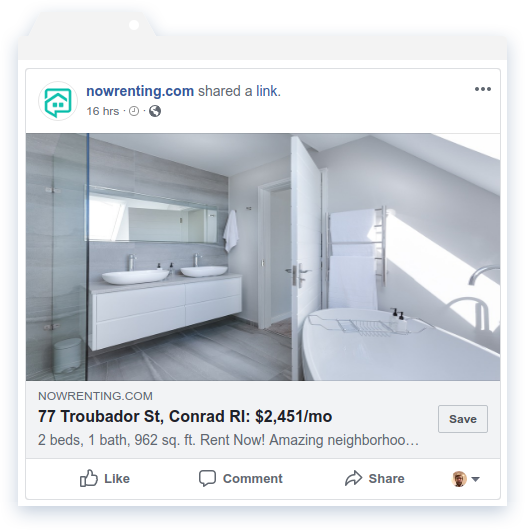 You can link your Facebook account to your NowRenting account, which will allow us to post all your new listings to your personal Facebook page. Click on your user name in the upper right corner of the screen and select the “Facebook” option on the dropdown. 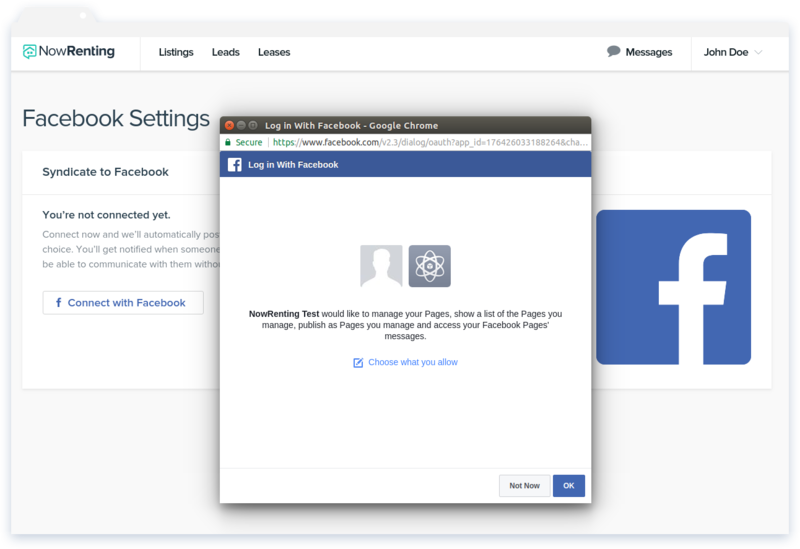 Click the “Connect with Facebook” button and follow the instructions in the popup to give NowRenting permission to access your Facebook account.